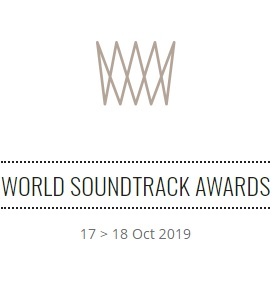 Alexandre Desplat, Craig Armstrong, Bruno Coulais, Antonio Sánchez, Don Davis, Krzysztof Zanussi, Antoni Komasa-Łazarkiewicz, Bartosz Chajdecki and Marcin Masecki are just some of the guests of the forthcoming Krakow Film Music Festival. The programme of the 12th FMF is a cornucopia of diversity! We recall the considerable impact Wojciech Kilar made on the history of Polish and world cinema, we bring back the twice-Oscar winner Alexandre Desplat with a monographic concert of his greatest hits, and we welcome a brand-new FMF guest: the acclaimed British composer Craig Armstrong with his music penned for Baz Luhrmann’s most spectacular productions. We present two simultaneous screenings: the world premiere of the 1992 Oscar-winning superproduction featuring music by Wojciech Kilar Dracula Live in Concert, and Birdman Live in Concert with the jazzman, composer and percussion virtuoso Antonio Sánchez. The dazzling programme of the 12th Krakow Film Music Festival also includes film songs performed by Polish stars during three spectacular concerts, including those from Quentin Tarantino’s productions, Alan Menken’s compositions for Walt Disney films and songs from Baz Luhrmann’s films. The festival showcases an extensive spectrum of concerts, from the monographic, sophisticated gala presenting all aspects of Alexandre Desplat’s work to the journey through the most important music for films of Krzysztof Zanussi. Desplat makes a welcome return to Kraków, coming to the Krzysztof Penderecki Auditorium Hall at the ICE Kraków Congress Centre on 18 May 2019 to present his most beautiful musical themes. 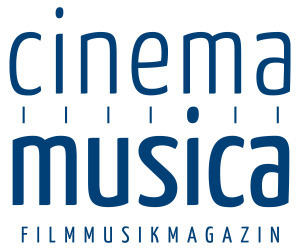 “In a way, this is another alternative suggestion from the festival: after last year’s concert of Krzysztof Penderecki’s compositions used in soundtracks, presenting the Maestro’s music from films by Kubrick, Wajda and Scorsese, we now want to present film music in a highly classical, philharmonic format, without accompanying screenings and production ornamentations. This was requested by Alexandre Desplat himself. We want to showcase the composer’s sheer talent and classical nuances, since he is widely regarded as the successor to the great French music tradition, marked by works by Hector Berlioz, Camille Saint-Saëns and Maurice Ravel,” explains Robert Piaskowski, the FMF’s Artistic Director. The French composer, winner of two Academy Awards (for Best Original Scores to Grand Budapest Hotel and The Shape of Water) and the Wojciech Kilar Award in 2016, leads the Sinfonietta Cracovia Orchestra. The musicians perform themes from acclaimed films including The Ides of March and The King’s Speech, alongside the Oscar-winning suites from Grand Budapest Hotel and The Shape of Water. On 16 May, we welcome the festival audience to the fourth instalment of the Scoring4Polish Directors cycle. This year’s event is dedicated to Krzysztof Zanussi, one of the most highly acclaimed Polish film directors of all time. Alongside Dracula Live in Concert, it will be one of two evenings at ICE Kraków presenting music by Wojciech Kilar and recalling the many years of friendship and collaboration between the composer and the director. The concert forms a part of Krzysztof Zanussi’s 80th birthday celebrations. “The concert pays homage to the great achievements of this acclaimed artist and visionary of Polish cinema, also a member of the Honorary Board of the Wojciech Kilar Award, established by the FMF. But that’s not all! Following last year’s events, we are also striving to intertwine the Maestro’s works with the latest phenomena in Polish film music. And so we use the context of the beautiful, long-lasting, creative friendship and professional relationship between Kilar the composer and Zanussi the director to present the latest soundtracks from Polish films and TV dramas, welcoming back artists such as Antoni Komasa-Łazarkiewicz and Bartosz Chajdecki as well as guests such as Marcin Masecki making his FMF debut,” promises Robert Piaskowski. The first half of the concert presents arrangements to Kilar’s most popular themes, including A Woman’s Decision, At Full Gallop, The Contract, Persona Non Grata and Revisited. Zanussi worked with the composer on over fourty films, and described his music, saying, “He has no equal nor precursor in the history of cinema – it is extraordinary when a composer steps into the semantic sphere of a film and uses music to enhance selected scenes or events.” The second half of the gala will be dedicated to the most fascinating phenomena of Polish film music of the last season, featuring special guests Antoni Komasa-Łazarkiewicz, Bartosz Chajdecki and Marcin Masecki. We will hear suites from popular TV dramas including Kruk. Szepty słychać po zmroku, Piłsudski and Blinded by The Light. And of course the FMF wouldn’t be the same without film screenings with live music, beloved by the audience. The next festival features two simultaneous productions, presented at the prestigious Krzysztof Penderecki Auditorium Hall at the ICE Kraków Congress Centre. On 15 May, the FMF audience will be the first in the world to see Dracula Live in Concert, followed two days later by a concert version of the multi-Oscar-winning Birdman. “In previous years, the FMF has created and disseminated concert spectacles such as Perfume: The Story of a Murderer, Kon-Tiki, Gods and The Neverending Story, bolstering its ambitious, international audiovisual productions. This time we have joined forces with our friends from the FIMUCITÉ festival in Tenerife to co-produce the latest international production, fully commissioned by the Krakow Film Music Festival. The world premiere of the classic 1992 horror Bram Stoker’s Dracula by Francis Ford Coppola (the all-star cast included Gary Oldman, Winona Ryder, Anthony Hopkins, Keanu Reeves, Tom Waits and Monica Bellucci) with Wojciech Kilar’s music performed live will be another milestone in the history of the FMF. Several festivals and philharmonic halls in Europe and North America have already expressed an interest in the production,” says Piaskowski. Winner of three Academy Awards (Best Costume Design, Best Makeup and Best Sound Editing), Bram Stoker’s Dracula takes a special place in the history of Polish film music: Wojciech Kilar’s soundtrack established the composer as a stalwart of Hollywood. “Coppola is a genius. He turns seemingly simple, blood-soaked stories into poetic masterpiece, as was the case with The Godfather. Writing music for his film was my absolute dream,” Kilar had said about the collaboration. Work on the soundtrack wasn’t exactly easy: Kilar had serious heart problems while Coppola kept rewriting the film at such a rate, it was almost impossible for the music to keep up. After a few months, the composer’s home in Katowice was filled with metre-tall towers of cassettes. “The only guidance I received was that it was to be a film about God’s mistake, and that the score should include an hour and a quarter of music,” recalled Kilar. Two days later, we return to ICE Kraków for an evening screening of Alejandro González Iñárritu’s black comedy Birdman (2014), awarded Academy Awards for Best Picture, Best Director, Best Original Screenplay and Best Cinematography. The soundtrack consists entirely of solo jazz percussion performances, written and performed by the Mexican composer and virtuoso of improvised percussion Antonio Sánchez. The music also received many accolades, including the Grammy and nominations for a Golden Globe and a BAFTA. The composer is the guest of the 12th FMF in Kraków: on Friday evening, he appears as the solo percussionist performing his own soundtrack during Birdman Live in Concert. The 12th FMF also features the first ever performance of a wide selection of songs, chosen to fulfil the dreams of the festival audience. 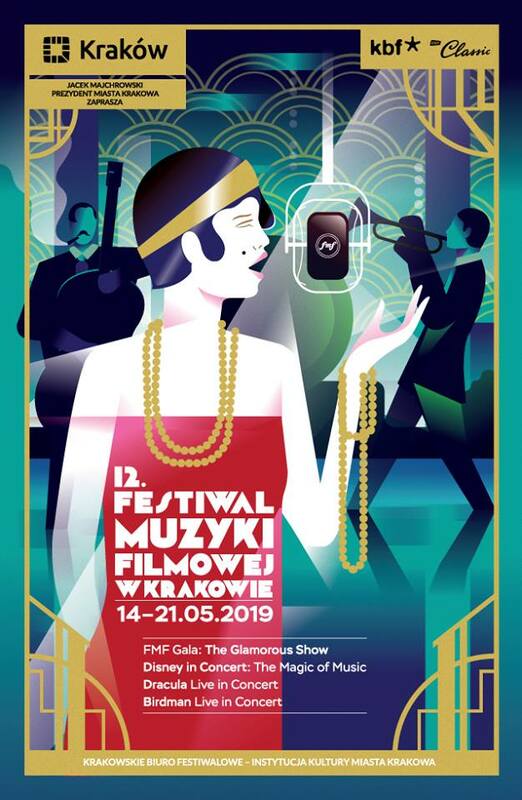 During the three concerts Disney in Concert: The Magic of Music, Dance2Cinema: Tarantino and the finale FMF Gala: The Glamorous Show we will hear songs from some of the most beloved films performed by Poland’s finest vocalists. The festival weekend kicks off with a spectacular event. On Friday 17 May, we will hear the FMF Youth Orchestra – an ensemble comprising the most talented pupils from Kraków’s music schools, founded five years ago especially for the festival. This will be the first time the young musicians perform for such a large audience at such an important production. Their concert, featuring some of the most popular songs from Disney films such as The Lion King, Aladdin and Frozen, resounds at TAURON Arena Kraków. This year, the orchestra is joined by an international ensemble of young talented musicians from film music festivals in Ghent in Belgium and Tenerife, selected by the festival led by the FMF’s close friend Diego Navarro. Soloists include Katarzyna Łaska, Magdalena Wasylik and Marcin Jajkiewicz. The musicians are led by Monika Bachowska, the ensemble’s conductor since its foundation, and the American conductor of Finnish decent Erik Ochsner. Saturday night will be taken over by songs from Quentin Tarantino’s cult films. The Chamber Hall at ICE Kraków presents the third instalment of the Dance2Cinema cycle, resounding with songs which play a key role in films by the leading representative of postmodernism in cinema. The repertoire includes tracks from Pulp Fiction, Kill Bill, Jackie Brown and Django Unchained. The performers at the song and dance show will be Polish vocalists Ania Karwan and Damian Ukeje, accompanied by the 11-strong The Pop Culture Band from Spain. The concert is the latest co-production of the FMF and FIMUCITÉ. The dazzling burlesque finale reveals the fascinating world of postmodernist games with conventions. The spectacular FMF Gala: The Glamorous Show at TAURON Arena will be filled with unexpected turns of action and mood. The concert brings together dancers, spectacular stage sets and meticulously designed special effects. Following the leading theme of the 12th FMF, Sunday evening will be dominated by cult songs and symphonic themes from superproductions by the visionary Australian director Baz Luhrmann: Moulin Rouge, The Great Gatsby and Romeo + Juliet. The stage of TAURON Arena Kraków welcomes star Polish vocalists, including Natasza Urbańska and Natalia Nykiel, performing songs from the repertoires of Garbage, The Cardigans, Amy Winehouse, Jack White and Beyoncé. The Beethoven Academy Orchestra and the Pro Musica Mundi choir are led by the Polish conductor, composer, pianist and arranger Krzysztof Herdzin, while the man behind the choreography isSantiago Bello from Tenerife. The special guest of the Gala will be the acclaimed British composer Craig Armstrong, awarded the Golden Globe for his soundtracks to all films performed during the concert as well as Ray, Me Before You, In Time and Snowden. We will see the composer himself during the performance of the Glasgow Theme from Love, Actuallyand The Balcony Scene from Romeo + Juliet. The festival also features modest presentations of the pure beauty of music. The eve of the FMF is marked by the enchanting concert Cinema Chorale featuring the most beautiful choral compositions from films resounding at the Gothic interiors of the St. Catherine’s Church and acting as a prelude to the main festival programme. “The power, mysticism and significance of choral music is rarely used to its full potential. Choirs tend to feature in major productions such as Gladiator and The Lord of the Rings where the huge budget gives composers almost limited access to resources. I would like to present the FMF audiences with beautiful and unexpected arrangements of film music for choirs. I have been putting off the idea for a long, even though the festival has been working closely with choirs since its inception, expressing the energy and beauty of film music. I dedicate this concert to the hundreds of choristers who have been the co-creators of the FMF since its earliest days, and I have asked Professor Wiesław Delimat – acclaimed choirmaster who has been overseeing FMF choirs for the last 12 years – to lead the concert. The choirs performing during the festival present their own unique sound and they are testament to the true joy of singing: they are ensembles of people filled with a love and passion for music,” explains Robert Piaskowski. Pro Musica Mundi takes us on a journey to a mystical world of film music.We will hear a capella versions of masterpieces by David Lang from films such as Youth (Just) and Paolo Sorrentino’s The Great Beauty (I Lie), Ennio Morricone’s Angele Dei from Roland Joffé’s The Mission, Jóhann Jóhannsson’s Orphic Hymn, and compositions by Mychael Danna (Lilies), Patrick Doyle (Non Nobis Domine) and Benjamin Wallfisch (Agnus Dei). 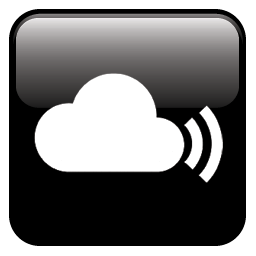 We will also hear choral arrangements of the Adagietto from Gustav Mahler’s Symphony no. 5 used in Luchino Visconti’s Death in Venice, Wojciech Kilar’s Apotheosis from Jerzy Stuhr’s A Week in the Life of a Man, and Agnus Dei based on Samuel Barber’s timeless Adagio for Strings and used in soundtracks to films such as Platoon and Elephant Man.The special guest will be the acclaimed French composer Bruno Coulais, winner of three César Awards for his soundtracks to Microcosmos, Himalaya and The Chorus, and his choral compositions are of course a part of the evening. On Sunday afternoon, join us at the Słowacki Theatre in Kraków for a concert held as part of the cycle Cinematic Piano, The Traffic Quintet, founded by the violinist Dominique “Solrey” Lemonnier, wife of Alexandre Desplat, presents her chamber project Quai de Scène. The performance includes Desplat’s music in brand-new, intimate arrangements, mainly from the album Traffic Quintet Plays Alexandre Desplat released in November 2015. We will hear the composer himself performing flutes and percussion. The programme of the 12th FMF also includes workshops for kids, composition seminars, discussion panels and meetings with maestros of film and music held as part of the annual Audiovisual Forum. The most important topic of the FMF Audiovisual Forum will be songwriting for cinema and selecting songs for films, with special workshops for composers with industry experts all the way from Hollywood. We will also award prestigious prizes, including the Young Talent Award, the Wojciech Kilar Award and the celebrated title of the FMF Ambassador. The 12th Krakow Film Music Festival is held between 14 and 21 May 2019.